Annette Giesecke is a specialist in the history, meaning, and representation (in literature and the arts) of ancient Greek and Roman gardens and designed landscapes. Her work extends to the influence of Near Eastern garden traditions on those of the West and the many cultural ‘uses’ of plants in antiquity: religious, culinary, medicinal, artistic, and technological included. For her work Roman gardens, Dr. Giesecke was named the Archaeological Institute of America Jashemski Lecturer for 2013-2014. 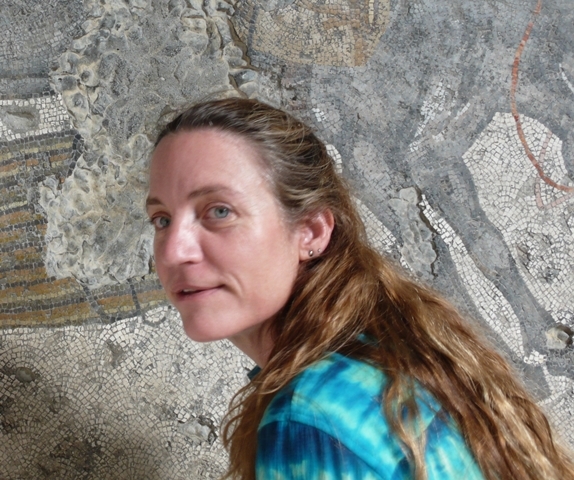 Her major publications include: The Epic City: Urbanism, Utopia, and the Garden in Ancient Greece and Rome (Center for Hellenic Studies, Harvard UP, Washington DC and Cambridge, MA: 2007), Earth Perfect? Nature, Utopia, and the Garden (Black Dog Publishing, London: 2012, co-ed. with Naomi Jacobs and contrib. ), The Mythology of Plants: Botanical Lore from Ancient Greece and Rome (The J. Paul Getty Museum, Los Angeles: 2014), and The Good Gardener? Nature, Humanity and the Garden (Artifice books on architecture, London: 2015, co-ed. with Naomi Jacobs and contrib.). With botanist David Mabberley, she is general editor, volume editor, and contributor for A Cultural History of Plants (6 volumes, Bloomsbury, London: anticipated release, 2018); and with Professor Khosrow Bozorgi, head and founder of the Center for Middle Eastern Architecture and Culture at the University of Oklahoma, she is editor and contributor for Blueprint for Paradise: Isfahan and the Choreography of Urban Change.